Broadspectrum protection from UVA, UVB, Infrared and visible light. Protects the skin against sunburn, sun spots and pre-mature ageing. Lightweight formula that sinks straight into the skin leaving a smooth, comfortable finish. Formulated by expert dermatologists in Spain. 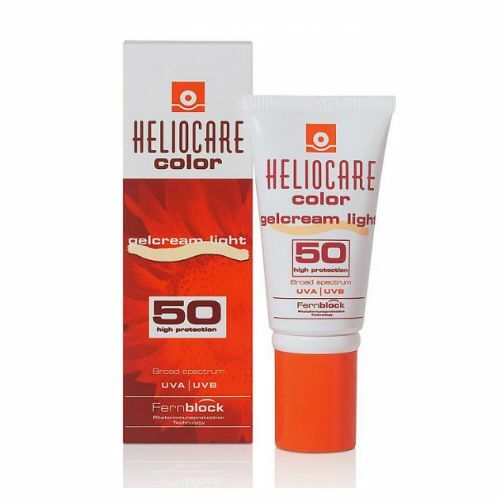 Heliocare 360° Fluid Cream is suitable for all skin types and perfect for regular use, no matter what the time of year. Aqua, C12-15 Alkyl Benzoate, Diethylamino Hydroxybenzoyl Hexyl Benzoate, Bis-Ethylhexyloxyphenol, Methoxyphenyl Triazine, Diethyl Butamido Triazone, Isoamyl Laurate, PPG-15 Stearyl Ether, Hexylene Glycol, Caprylyl Methicone, Titanium Dioxide, Dipropylene Glycol Dibenzoate, Ethylhexyl Triazone, Hectorite, Trilaureth-4 Phosphate, Ethyl Ascorbic Acid, Polypodium Leucotomos Leaf Extract, Ethylhexyl Ferulate, Ferulic Acid, Caffeic Acid, Glycerin, Physalis Angulata Extract, Ceteareth-25, Caprylyl Glycol, Melanin, PPG-15 Stearyl Ether Benzoate, Sodium Citrate, Camelia Sinensis Extract, Tocopheryl Acetate, Panthenyl Triacetate, Parfum, Arginine, Hydroxypropyl Cellulose, Disodium Ethylene Dicocamide PEG-15 Disulfate, Ethylhexylglycerin, Ethyl Linoleate, Caprylic/Capric Triglyceride, Oleyl Alcohol, Acrylates/C10-30 Alkyl Acrylate Crosspolymer, Ethyl Lauroyl Arginate HCl, Citric Acid, Arabidopsis Thaliana Extract, Sorbic Acid, Xanthan Gum, Butylene Glycol, Manganese Oxide, Oxothiazolidine, Tocopherol, Lecithin, Sodium Benzoate, Linalool, Limonene. 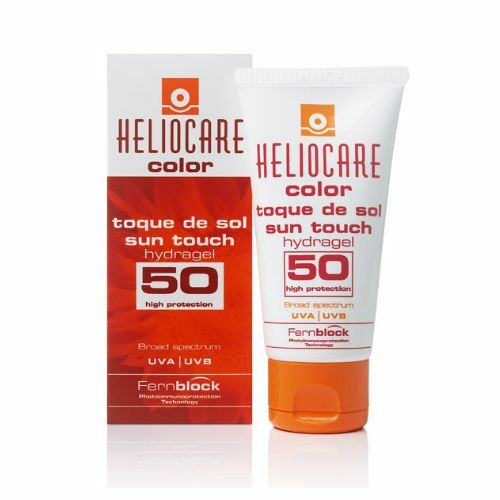 Apply Heliocare 360° Fluid Cream onto the face and body 15 minutes before heading to the beach. Re-apply the cream after swimming or every 2 hours. Store it in the fridge in between uses.